At Camden Catholic High School we recognize the transition from middle school to high school can be challenging. This transition is marked with significant changes; students encounter new friends, new academic expectations, and new social activities. Our freshmen come from approximately 80 different schools so we know while it can be a time of excitement it also may be a time of anxiety. The Freshman Transition Program at Camden Catholic seeks to assist incoming freshmen grow and develop spiritually, academically and socially so students know they belong to an Irish family that cares about them and encourages them to find their purpose. Below is a brief description of different aspects of the Freshman Transition program, important contact information and helpful resources for freshmen. Link Crew is a high school transition program that welcomes freshmen and makes them feel comfortable throughout the first year of their high school experience. Link Crew is made up of junior and senior students specially trained to serve as role models and mentors to the freshmen. 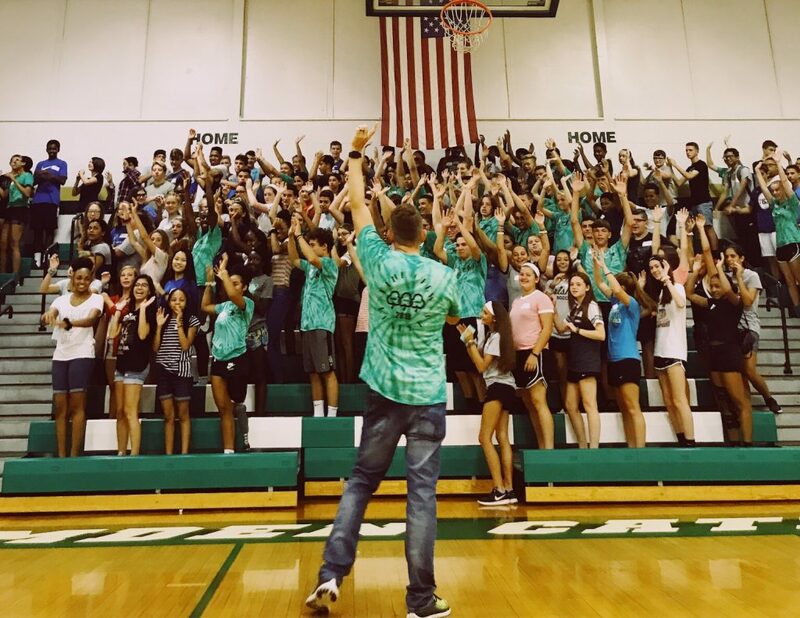 Link Crew welcomes the freshmen at the Link Crew orientation day, leads academic follow up sessions on topics such as time management and setting priorities, and social follow up sessions to encourage freshmen to become involved in the Camden Catholic High School Community. Freshman Meetings take place during activity period at regular intervals throughout the year. These meetings are meant to help students embrace the values and traditions of Camden Catholic. 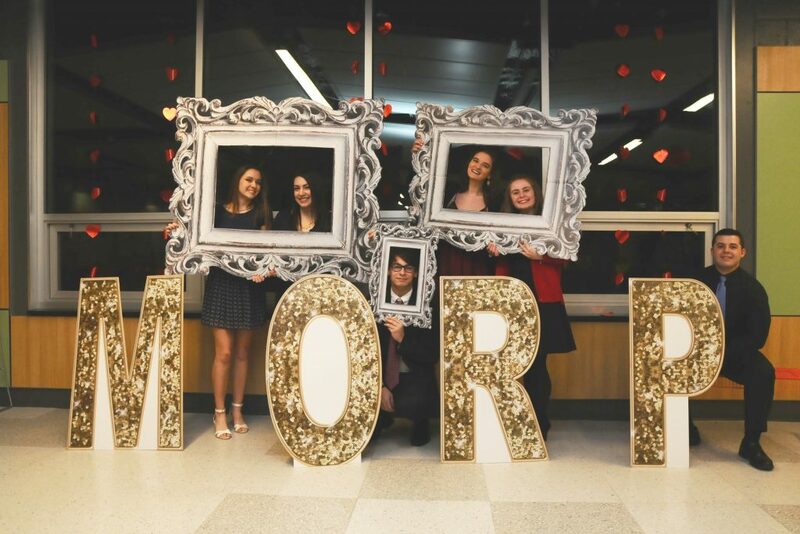 The meetings address spiritual, behavioral, and academic topics in an effort to keep students informed and prepared for an entire year of first time experiences. In the first month of school students will attend two meetings each week with one dedicated to study skills. Freshman Retreat is rooted in Camden Catholic’s long and rich history going back to 1887. Founded by the Sisters of Mercy the school seeks to learn and grow in mercy. The Freshman retreat is a day for students to learn, reflect and live out this charism of mercy and also immerse themselves in the history of Camden Catholic. 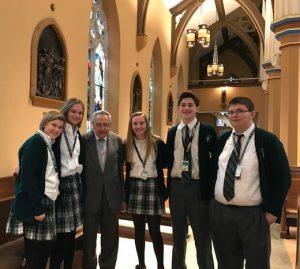 Students travel to the Cathedral of the Immaculate Conception to pray and join the community in daily Mass and work on a service project at Cathedral Hall in Camden, the original location of the CCHS. On the way back to CCHS students stop by Cathedral Kitchen to drop off their service project and learn of the daily works of mercy that take place there. We end our day with time for personal reflection and prayer. Tutoring: Available for all subjects, from National Honor Society members, faculty and assistants. Click here for tutoring schedule and details.